Katherine Herrington eased her most prized possession—a rainbow stack of spiral notebooks—out of the cardboard moving box and gently placed them on the upper shelf in her old closet. Sandwiched between an outdated combination CD-cassette player and two stacked shoe boxes full of fashion dolls and their twenty-year-old ensembles, those irreplaceable pages contained the last fifteen years of her life. As the sweet perfume of Mom’s star jasmine drifted in through the gauzy sheers billowing across the open bedroom window, the evening breeze carried the memory of the words she’d heard so often. Katherine, enjoy the moment. Be spontaneous. Mom had always thought she was inflexible, too rigid, but that wasn’t true. She was just a planner. While some people kept journals, she made lists. Looking back at all the check-marked entries and seeing what she had accomplished was satisfying. Besides, had Mom been more like her and a little less spontaneous, she might still be with them. After all, having your life in order, wanting to know what to expect, was no crime. Organization was a good thing. In fact, tomorrow she’d go to the store, buy some plastic containers, and whip this closet into shape. She would have done it tonight, except for...The Date. Katherine smiled. Cassie was the only one who still called her that. “Can I come in?” The door cracked open just enough for Katherine to see her sister’s blue eyes dancing with excitement. 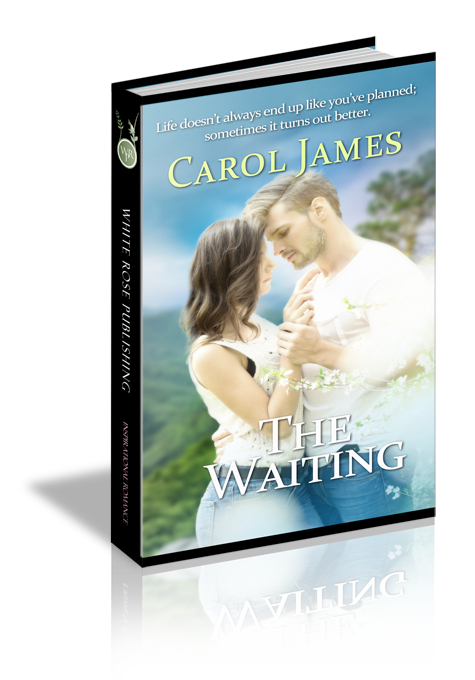 Cassie burst through the door and dove into the middle of the old iron bed with the level of enthusiasm only a thirteen-year-old girl who hadn’t yet been on her first date could have. “Aren’t you excited?” Sitting cross-legged, she bounced with anticipation. No. “Cassie, it’s just a date. Nothing more.” Katherine was long over the tears of frustration she’d shed privately after Dad had told her he and one of the church ladies had set up this date with Crescent Bluff’s newest bachelor. Dad was the only person she’d do this for. She was sick of blind dates. The women at her church in Dallas had meddled in the same way. They meant well but hadn’t seemed to understand that, if and when He wanted to, God would bring the man she’d prayed for since middle school into her life. He wouldn’t need their help, or anyone else’s for that matter. A year ago, she thought He had, but now—maybe not. “But, Beth. This guy could be The One.” Stars filled Cassie’s eyes. Katherine smiled. Who was she to destroy Cassie’s fairytale optimism? “You’re right. You never know, do you? I imagine he could be.” She sat down on the bed and hugged her little sister. Cassie’s head rested on Katherine’s shoulder. Her voice was hushed. “I’m glad you lost your job.” She bolted up. “I mean, not glad you’re not working but glad you could come back home. I miss Mom so much.” Her eyes filled with tears. “I know. Me, too.” Katherine eased her sister’s head back down onto her shoulder and stroked her flaxen hair. Losing Mom had been heartbreaking, yet Katherine had, at Dad’s insistence, returned to Dallas and resumed some semblance of a normal life. But now with no job, she’d had no other choice but to come back home. That is, unless she counted collecting unemployment and living with friends or on the street viable options. The deep hum of a car engine vibrated the old wood-framed windows. He was here. Katherine moved behind her sister and peered over her shoulder. Some sort of red sports car sat at the top of the circular drive. Impressive to guys maybe, but not to her. Cars were a means of transportation, nothing more. They should be reliable and sensible, not flashy. As the driver’s side door opened, Katherine held her breath. Here we go. A man dressed in jeans and a plaid western shirt stepped out. Her heart groaned. Not only was he short, but he was bald. Or maybe his head was shaven, but the only reason a twenty-five or thirty-something-year-old man shaved his head was because he was either bald or balding. Short and hairless were not on "The List." A knot formed in her stomach. Unfortunately, it was too late to conjure up an illness. “Oh, he’s so cute.” Cassie placed her fingertips together and clapped them excitedly. They couldn’t be looking at the same man. Katherine blinked slowly and then refocused her eyes. No, nothing had changed. Cassie jumped up. “I’ll go let him in, but you hurry. Hurry.” Twirling out of the room, she closed the door. Katherine kicked off her heels and placed them on the rack in the closet. Then she slipped on a pair of flat sandals. Hopefully the change in shoes would solve the height problem. As the doorbell rang, Cassie’s footsteps echoed down the hall through the closed bedroom door. After taking one final look in the mirror, Katherine retouched her lip gloss and ran her fingers through her hair. She sat on the edge of the bed, took a deep breath, and counted slowly to ten—and on to twenty. For Dad, she could stand almost anything for a few hours. Plastering a smile on her face, she opened the door and inched down the hall toward the living room. Let the fun begin. Cassie was curled up on one end of the couch with her feet tucked under her, and the back of The Date’s bald head arched above the top of the leather recliner. Wonder how Dad would have reacted if he’d come home and seen a stranger trespassing in his chair. Terms like “PK, dribbling, striker” were flying back and forth between the two. Soccer. Maybe The Date had more in common with Cassie than with her. If Cassie were only a little older. “Oh, hi, Beth.” Cassie jumped up. Her grin was almost wider than her face. The Date stood and turned toward her, a large bundle of pink tulips in his hands. He was actually kind of cute...for a short, bald guy. “Hello, there,” he said. “I’m Sam. Sam Tucker.” His voice was deep, his accent unusual. Certainly not Texan, not even southern. Midwestern...Northeastern...She couldn’t quite place it. “You look lovely this evening. These are for you.” He held out the rosy bouquet, and as he smiled, his eyes sparkled like sunlight on ocean waves. It was like looking into the Caribbean from the deck of a ship. She fought to keep her balance as the deep aquamarine pools pulled at her like an undertow at South Padre. “You guys have fun.” Waltzing into the kitchen, Cassie left them alone. “So, Beth, is it?” He held out his hand and smiled again. Oh, great, she’d made a stellar first impression. As she found her breath, her voice followed. “No. Katherine. Katherine Herrington.” She grasped his outstretched hand. “Nice to meet you, Sam.” The sightline from her eyes to his was an upward angle. He wasn’t short after all. He was definitely taller than she was, just not as tall as Clark. She had changed shoes for no reason. Or not... “Ready.” She took his arm, and he led her out the door to his car. The clean scent of his cologne was like a fresh summer breeze. What else could Cassie possibly have told him in those few seconds they were alone? Question 1: Katherine states that her lists are simply an organizational tool. Do you agree, or are they more than that? Answer 1: They are her method of feeling in control of her life. Question 2: Do you identify with Katherine’s need/desire to always be in control or have things well-planned ahead of time? How do you react when things don’t go as planned in your own life? Question 3: Sam and Katherine have very different personalities. Do you believe opposites attract? Why? Question 4: When did Katherine first begin to trust Sam? Answer 4: When she was blindfolded while they danced together. Question 5: Katherine’s father challenges her beliefs by stating he is unsure God has only one person chosen for each of us to marry. Do you agree or disagree with him? Why? Question 6: When has someone you loved challenged your beliefs? How did you react? Question 7: For years Sam’s life has been focused on fulfilling his desires. When he realizes his life is empty, he wants to change. Do you believe true, lasting change can really happen apart from God? Why or why not? Question 8: Sam struggled with telling Katherine about his sexual history. Did he make a mistake by telling her? What might have happened if he’d never told her and left the past in the past? Question 9: Katherine felt betrayed when Sam finally admitted his sexual impurity. Has there ever been a time when someone you trusted betrayed you? Were you able to forgive him or her? Question 10: Katherine and Sam are both searching for contentment in their lives. In what areas of your life do you share this quest?